I love to use thrift store items to decorate my nest! You can find such beautiful things at a fraction of the cost of something brand new and you can almost guarantee that they’re one of a kind. Today I went poking around one of my local Salvation Army stores and I want to share with you some of the neat finds I saw and give you my suggestions for their use or placement. 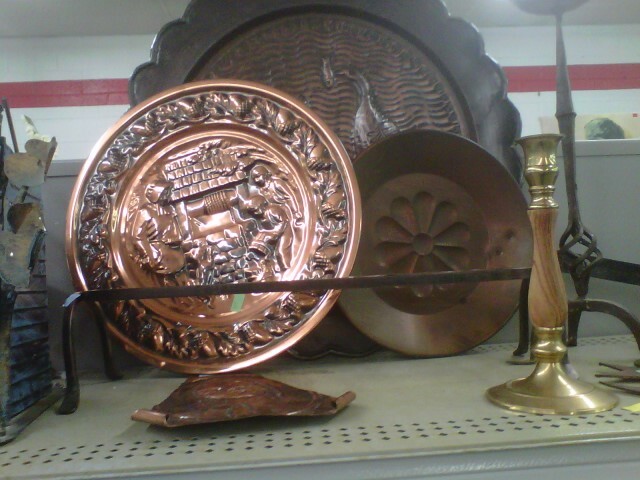 Take a look at these brass plates. I think these would be perfect on a dining room or living room wall. How about above a fireplace or doorway? If you got several different ones, you could have a unique art piece that would replace the need for a large, expensive painting. 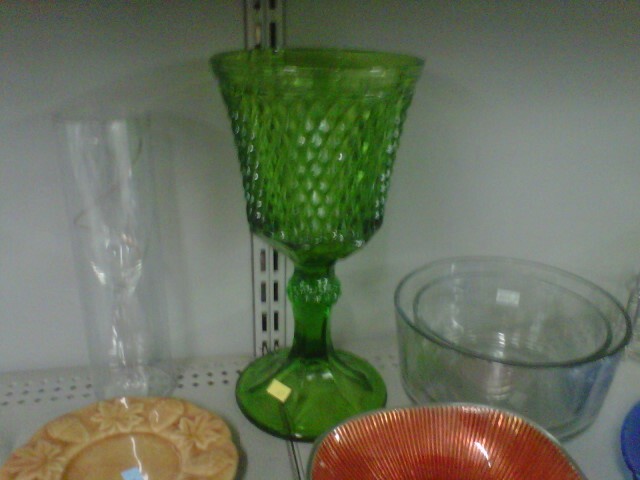 I also came across this gorgeous green glass large goblet. Its so vintage and look at that gorgeous green jewel color. 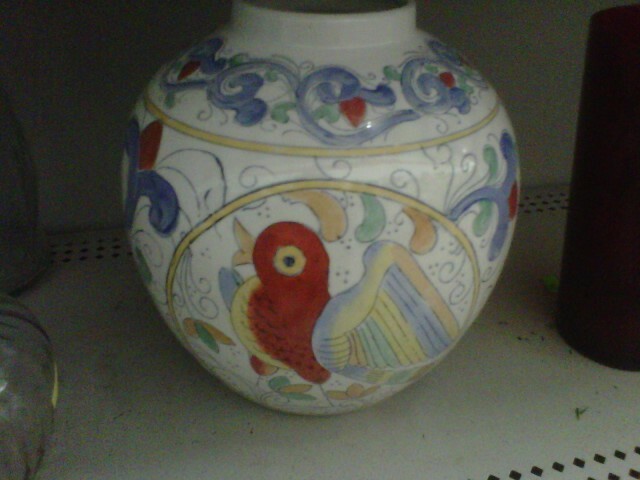 This would be beautiful in the center of a table with a candle in it or on a mantle, dresser, or bathroom counter top. 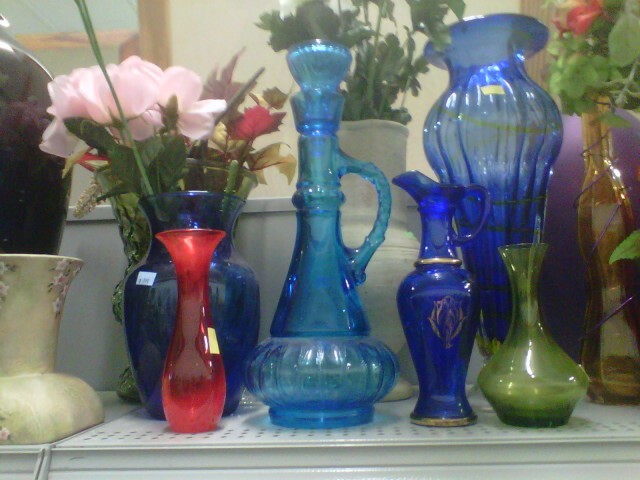 How about this little collection of jewel tone vases? How pretty!! I think this would look gorgeous in a window sill in the spring. You could put a single stemmed little flower in each one. I think that would look so sweet. Look at this neat shadow box thingy! I love old keys. I think this would look fabulous anywhere in your house. I would hang this maybe in an entry way to highlight the whole door/key thing. This could even be pretty in a bedroom as well. I love things that are interesting. How about these 2 chairs? Two totally different styles but both knockouts! The gold one I could see in front of a window with a small table and a lamp. So vintage chic. 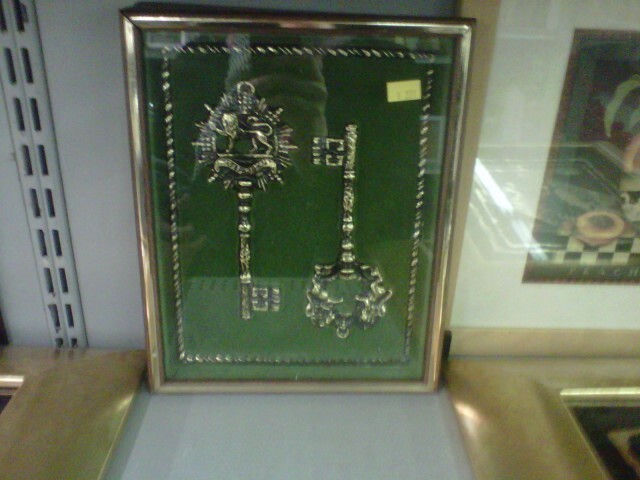 And the embroidered one would be adorable in a large entry way with a picture or a few wall hooks hung above it. Great place to sit down and put shoes on. 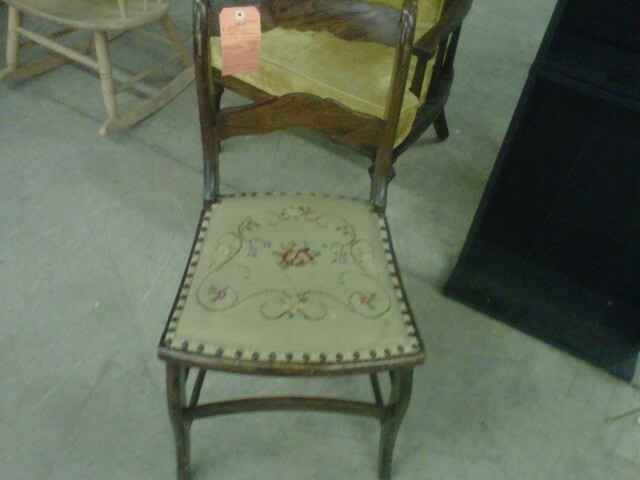 I could also see it in a corner of the dining room as a “spare chair” for a guest. Things don’t have to match to look amazing. In fact, I like it better when they don’t. 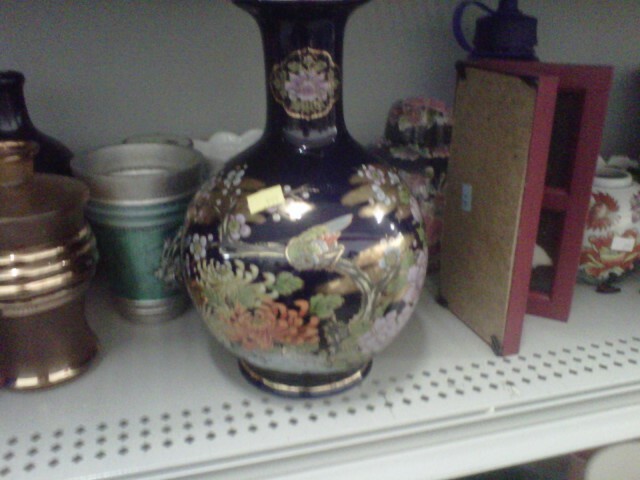 Finally, I spied with my little eye, these two asian inspired vases. I thought they were totally awesome and would look great in cut thru window area along a stair case maybe with some tall wispy branches standing in them. These would also look lovely in a bathroom or even as a centerpiece on a coffee table. There were so many treasures but I could only share a few. 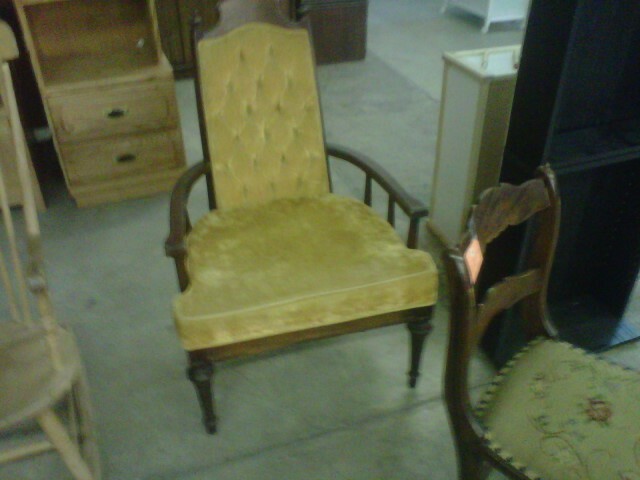 What great items have you scored at the thrift store? If you have never been, I would encourage you to go today!